or professional skills, we can build it. Engage your employees from the moment they join your team. We help organizations support new team members to full productivity quickly. Upgrade from didactic lectures to innovative formats like business scenarios, critical analyses of data, and safe zones to practice new skills. Medical Affairs is no longer a support function, it’s a cornerstone. For optimal productivity, your team requires upgraded business skills. Do you have a team of high-potentials moving up the ladder? Do you need to fine-tune your current management team? We can help. No time to manage training deployment? 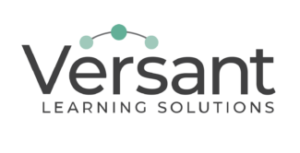 Let Versant manage your training program for you. If you use your own system – that works too. Have you identified a performance gap? Let’s discuss your current state and provide options to help your team move forward. Several common pain points can be solved by outsourcing your Medical Affairs training. Building (and paying for) redundant training materials due to cross functional silos. Utilizing high performing MA associates, which results in time away from their primary role. It also assumes they have the specialized skills to create quality training content. Training departments can be costly. For some, in-house training is not financially feasible and for others it may not even be necessary. Training that is both enduring and always up-to-date. “On-demand” or “just-in-time” training is well suited to Medical Affairs. Learners can fit it in around field work, conference calls, and other demands that make live meetings and webinars inconvenient. The format decreases program duration and increases retention. We use short, 5 to 10 minute segments and interactive “real-life” scenarios that are relevant and immediately applicable. Training can be deployed immediately and repeatedly and can be updated quickly. Critical information like SOPs and label updates can be rolled-out in weeks instead of months (or never). The Well Versed blog covers a wide range of topics in Medical Affairs, the Health Care industry, professional training and development, and the principles of adult learning. Follow our company on LinkedIn. Join the LinkedIn Group: Medical Affairs Training Professionals | Content and discussions from the learning frontier. Join the LinkedIn Group: Medical Affairs Management Forum | Relevant conversations for remote pharmaceutical people managers.